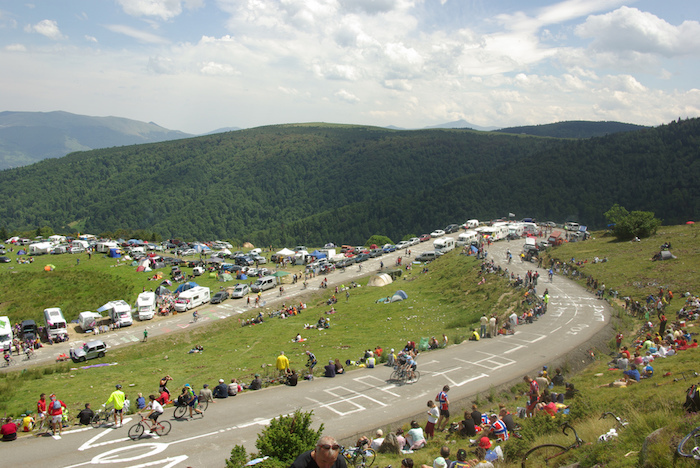 A new edition to the Tour de France in recent years, this Pyrenean this climb features again in July. It’s a tough challenge but a dead end and away from the Tour de France, a peaceful road that seems be used by cyclists and few others. The Route: the D522 starts in the village of Les Cabannes, 10km south-east of Tarascon-sur-Ariège in the Ariege department of France. It is 15.8km long for an average gradient of 7.9%. The Feel: leave the main valley road, pass a camp site and the road pitches up in an instant. This is like a description of the approach to Alpe d’Huez and the difference is this is a sleepier place, there’s not much happening on a normal day. France’s celebrated broadcaster Jacques Chancel grew up at the foot of the Aubisque and remarked how little happens in the area so the arrival of le Tour was a highlight of the year. Ride this when there’s no Tour and you’ll discover just how quiet the road is. 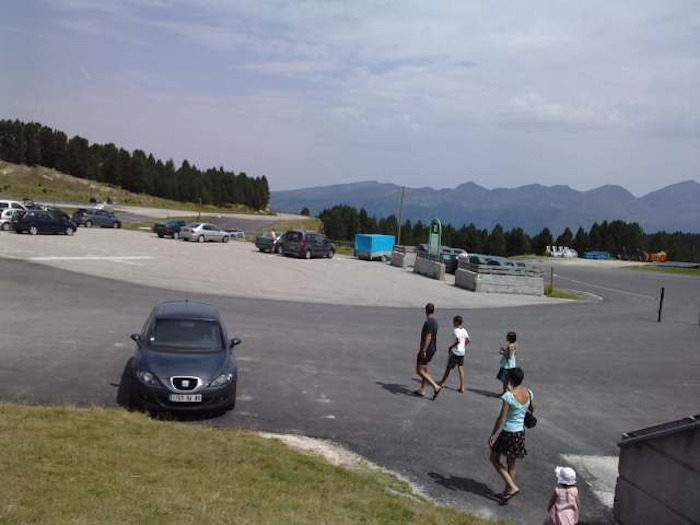 A large sign for cyclists tells you what’s coming up before you reach the first hairpin bend. The road is wide as you’d expect for a ski station access road only there’s no ski station at the top, more of which later. The profile above shows a varying gradient but this isn’t so noticeable during the ride, a gear change here or there but this is a regular climb for the first 12km, compounded by the long straight sections, this isn’t the Pyrenean stereotype of irregular, narrow roads. There are no vertiginous views. The road climbs in woodland a lot, offering shade but few vistas until 4km to go when you reach the plateau. As the name suggests, the Plateau de Beille is a large open area the views open up but don’t imagine a tabletop flat, the road drags on as it climbs through the pastures and as long as the Tour isn’t in town you’ll find grazing livestock wandering on the road. By now the road is more irregular, pesky if you’re tired. Cross the finish line and you’re struck by the empty space, a large car park and little else, not so much a destination as a dead end. This is no ski resort but what they call an espace nordique, a base for XC skiing. You end up riding around the car park looking for a finish line and there’s nothing else to do but descend the way you came up. The Verdict: a long climb without a great reward except satisfaction with the effort. The peaceful road rises immediately but progress isn’t obvious, you rely on the signs rather than the landscape. It feels more Alpine than Pyrenean with its wide road and long straights. It requires a big effort but is not the most rewarding climb, it’s benefited from the Tour’s stardust. Ride it and enjoy the other roads in the area. Say It: Beille rhymes with “bay”. 2015: each Pyrenean stage in this summer’s Tour is different, a sharp summit finish the first day, a finish for the puncheurs the next while this one comes on the third day, a much long before the 45 minute final summit finish. History: it’s been used five times by the Tour de France with the first appearance in 1998 making it a contemporary climb. It wasn’t ignored, the ski area only opened in 1989. Marco Pantani, Lance Armstrong, Alberto Contador and Jelle Vanendert (pictured) have all won with Vanendert taking this HC summit finish but he’s never won anything else since. In 2011 He was good enough to go with the front group then able to clip away while the GC contenders marked each other, especially with the Schleck Brothers frustrating millions as they craned their necks to look for each other (pictured) rather than put Thomas Voeckler and Cadel Evans in difficulty. Voeckler defend his yellow jersey when was predicted to lose it and must like the climb as he also defended his lead here in 2004 when he was expected to lose it to Armstrong but Armstrong probably didn’t mind, it meant Voeckler and his team would have to keep working the next day. Watch the montage below, it might be a bit blurred and pixelated but that almost seems fitting for the pharma robots up front. Location: Draw one line south of Pau and another from Saint Gaudens and you find most of the mythical climbs within this 100km wide zone. 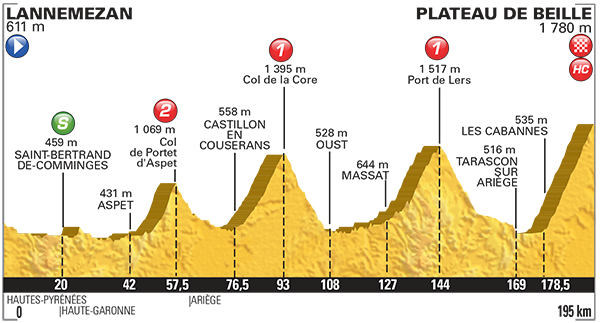 The Plateau de Beille sits much further east and allows the Tour to have a finish in another area, lucrative too as it’s in another départment, a new tourist budget to tap and sits right next to the Plateau de Bonascre, better known for its Ax-3 Domaines finish. These more modern climbs aren’t a big draw for cycle tourists but away from the Tour’s limelight you will find more rewarding climbs like Port de Lers, the Col de Port and the charming Pas de Souloumbrie, a gem of a road. Travel and Access: Toulouse is the closest major city, a 90 minute / 100km drive away. Tarascon sur Ariège is 10km from the start of the climb and makes a good base with many directions to ride in for a week’s stay. 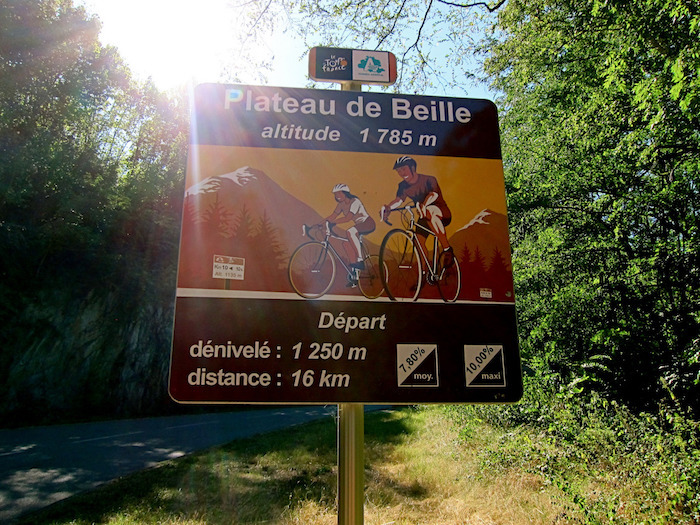 I rode it twice while preparing for the 2007 L’Etape, but only because it was close to our hotel. We best described it as a parking lot at the top of a mountain. The farmers market in the base town (Les Cabannes) was nice, which gave further motivation to not hang out at the summit, as there wasn’t anything there; I would have expected at least some livestock. A very hard climb, I remember a relentless 10km. Any more info on the Pas de Souloumbrie? I missed that one. The Pas de Souloumbrie runs parallel to the main road from Tarascon to Les Cabannes but just to the north and the next valley over. It’s very narrow, it feels like a private road in places. 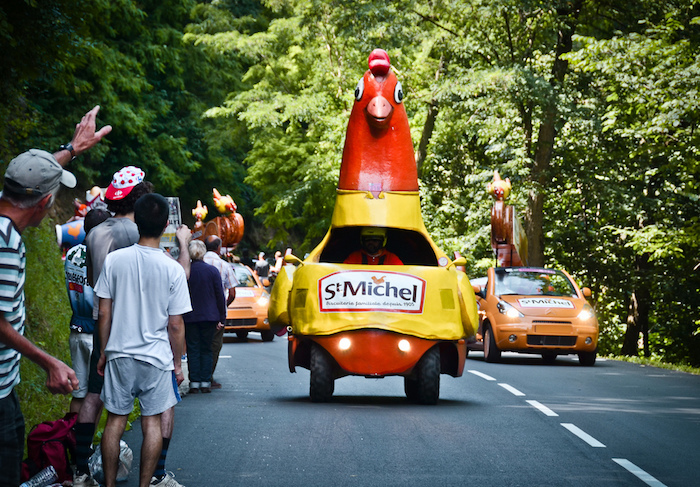 It’s been used by the Route du Sud stage race. Worthy of a Roads to Ride feature perhaps? I remember spending a fair bit of time looking at this road on Google Street view when I was planning a tour that I ran for some friends in that area. It looked really quiet, very rural, but with great views to the South and the high Pyrenees in the direction of Andorra. Maybe too small? It’s only a short climb plus part of the series is supposed to look at the big roads and what they’re really like without the Tour/Giro or another major race. I could start a second series of “hidden gems”. Also close by to Ax Les Thermes which gives access to Port/col de Pailheres and some other beauties. Ariege is a brilliant place to ride and nearly as many nearby climbs as Luchon or Argeles-Gazost. Very different landscape to the western Pyrenees, too. Ax makes a good base and I agree that the Ariège is a great place for riding but it’s often overlooked by visitors to the Pyrenees as they’ve come for the Tourmalet, Soulour, Aubisque etc. Word 3, line 1: edition -> addition? The Plateau de Beille road is also used for the finish of the “Areigeoise” cyclosportive every other year (not in 2015, but it was used in 2014). It’s not so quiet then, with up to 4000 cyclists finishing up the climb. The only HC climb I’ve ridden in France and I’ve done it twice. Not a lot to compare it to, but it really is relentless. Rewatch the 1998 tour to see Pantani fly up it. The knowledge of the era doesn’t make it any less incredible! The main valley road, N20 is not just unpleasant but is among the most dangerous in France. Any cyclist would be wise to stay well away. The corniche road, D20, which runs parallel on the northern side of the valley is fantastic.